This is almost all Konkani people's favorite dish. Usually we prepare this for festivals. My husband and my in-laws simply love this dish. 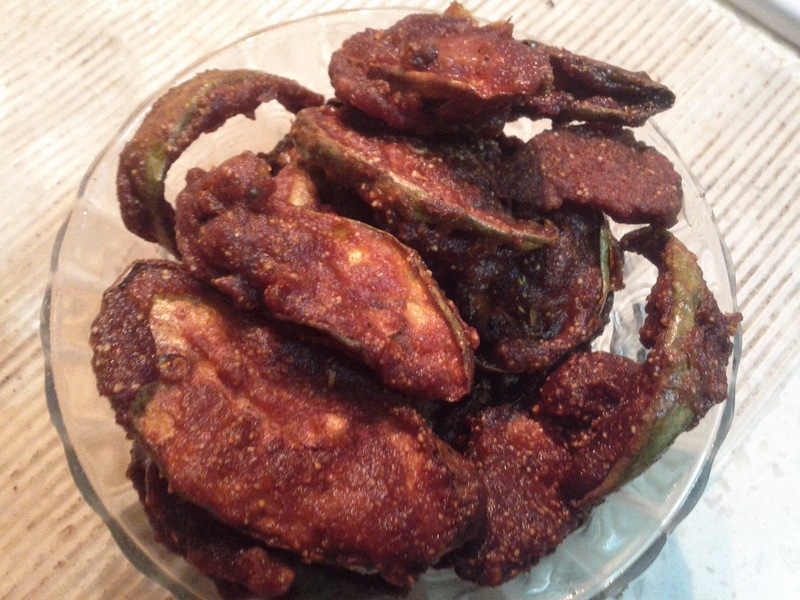 It is simple and yet very tasty. 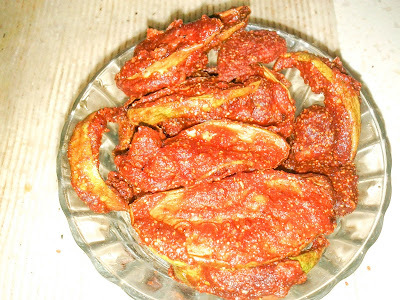 Anybody can try this for evening snack or can have it along with lunch. 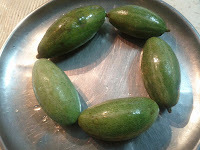 One can use potato, Bitter gourd / Kaaraate, Spine gourd / Phaagila or any other vegetable of your choice. This recipe was shared by my Mother-in-law. Wash and drain Rice grain. Keep it for 1/2 hour. 1. 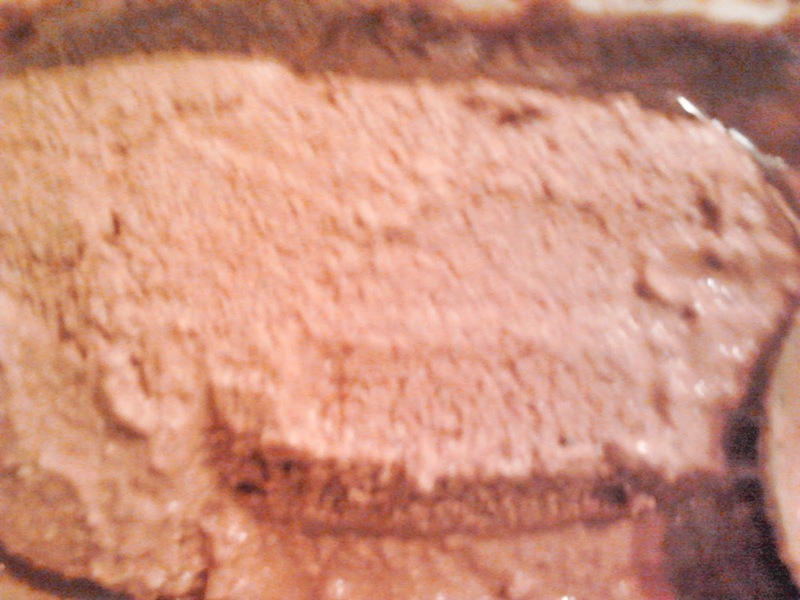 Make a paste of above mentioned ingredients by adding little water. 2. Wash Pointed Gourd / Gointa. 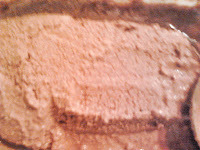 Cut it as shown in the picture. Add little salt. Mix and keep it closed for 10-15 minutes. 3. 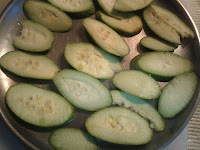 Put 3-4 tbsp paste, Rice flour, Semolina on sliced pointed gourd. Mix it well. 4. 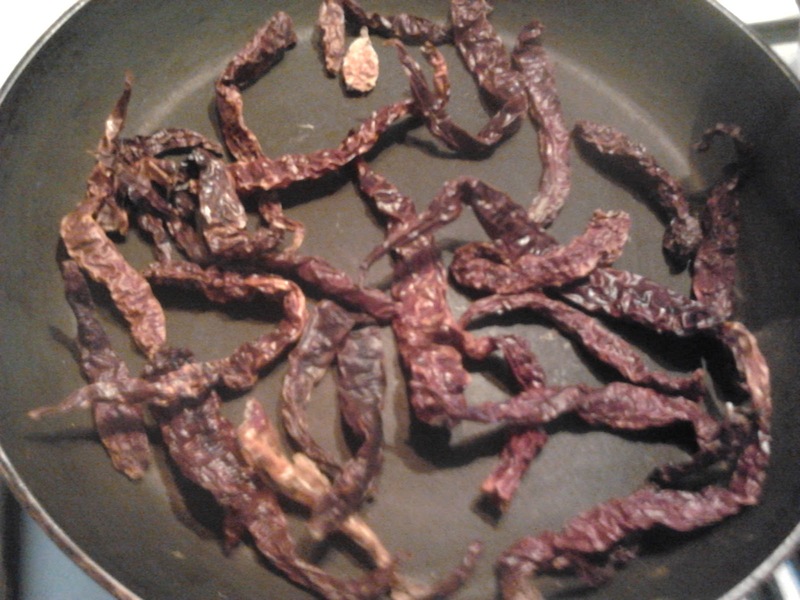 Switch off the stove and serve hot with sauce if needed. 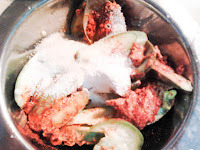 The remaining paste can be stored in freezer in an air tight container for 1 month and can be used to fry other vegetables. 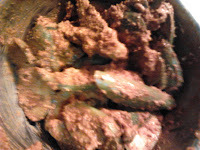 Can add extra red chilly powder if needed while mixing the paste with the vegetables.